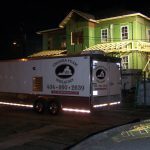 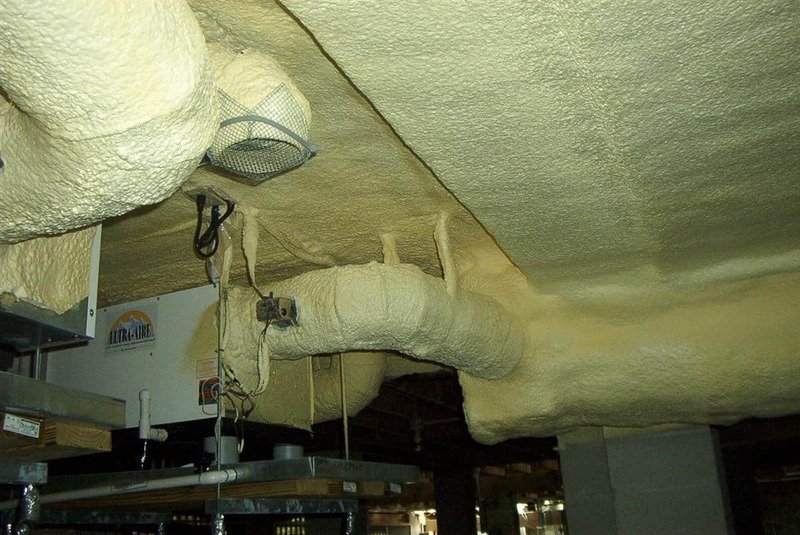 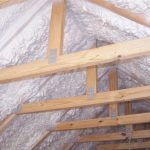 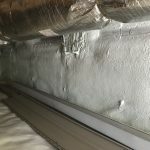 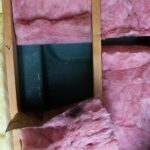 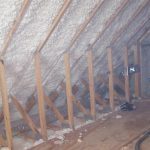 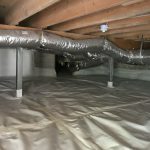 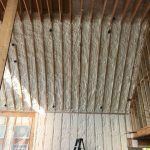 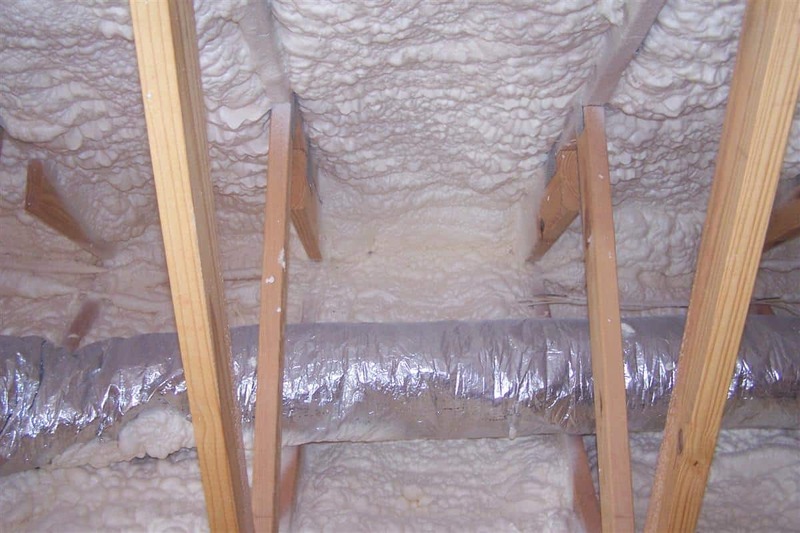 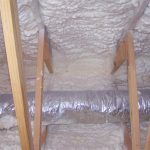 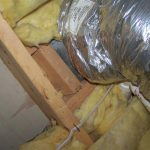 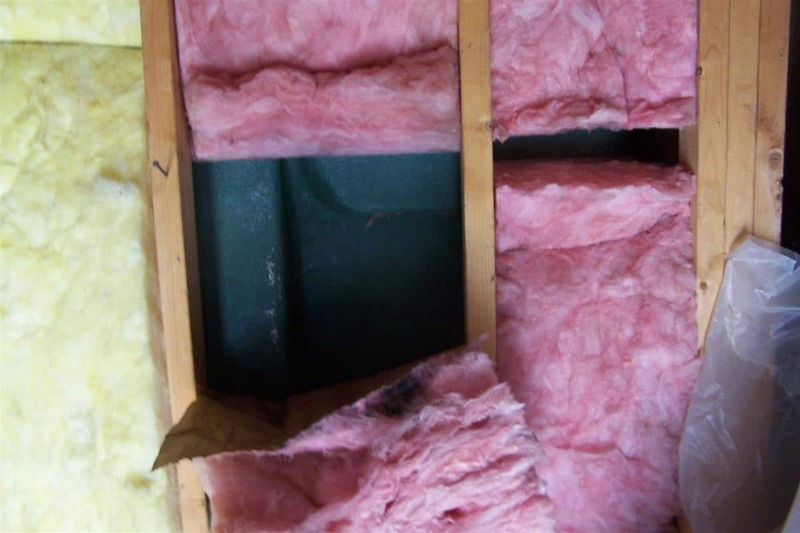 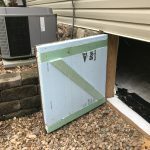 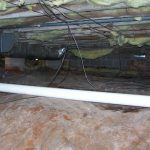 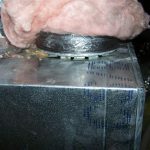 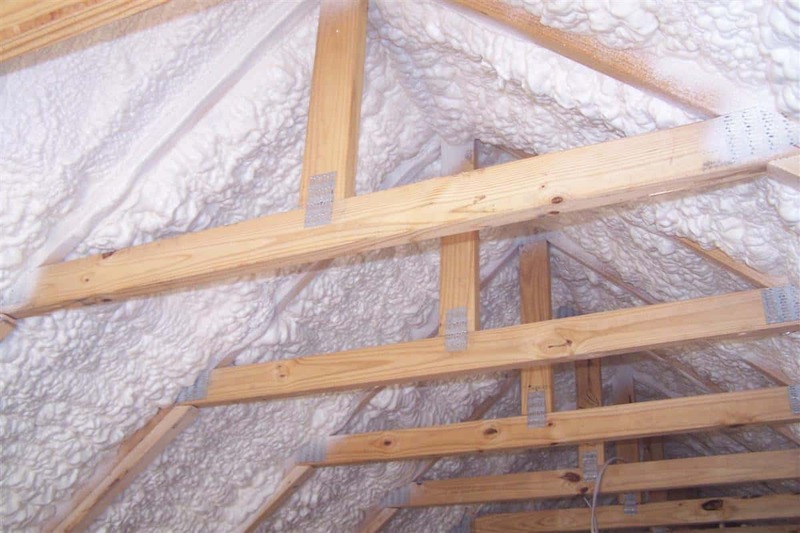 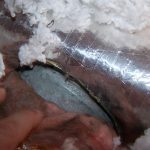 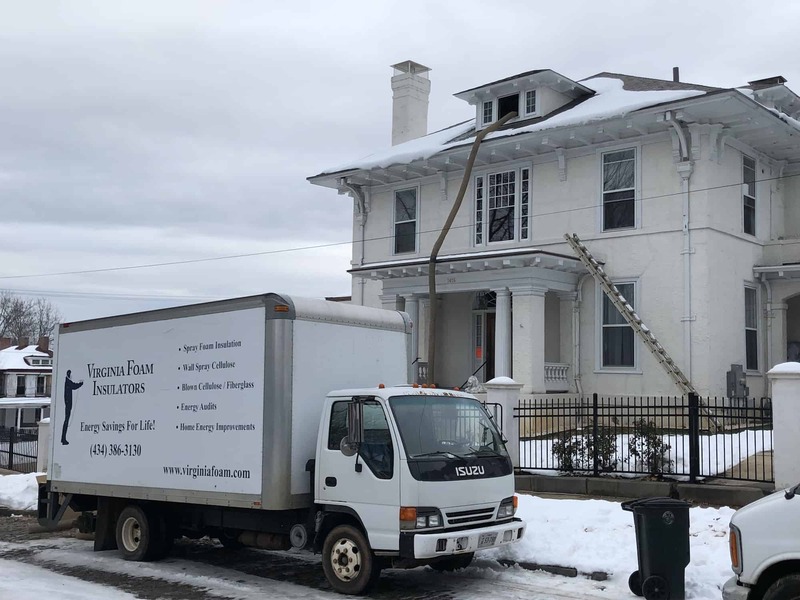 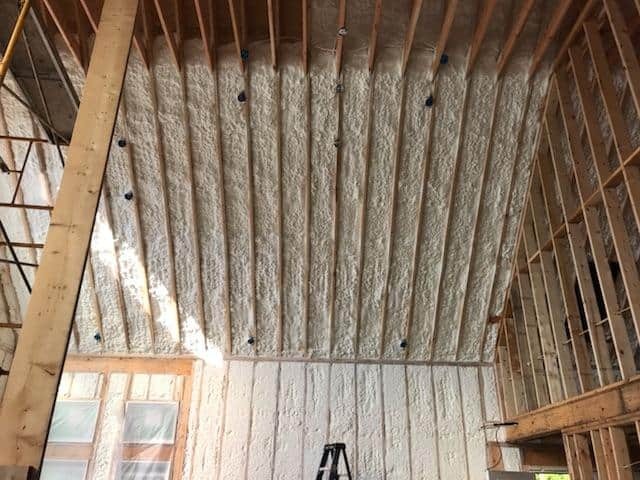 Virginia Foam Insulators has worked on attic insulation, crawl space insulation, and home insulation for your new or existing home for over a decade. 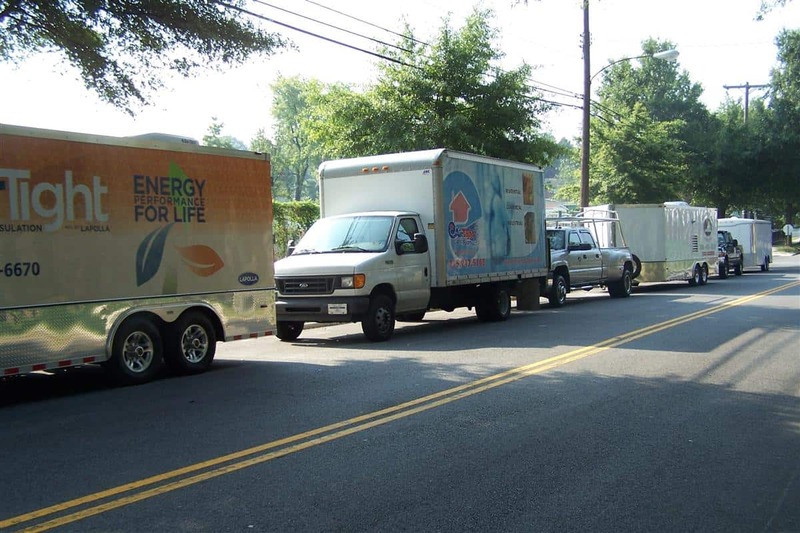 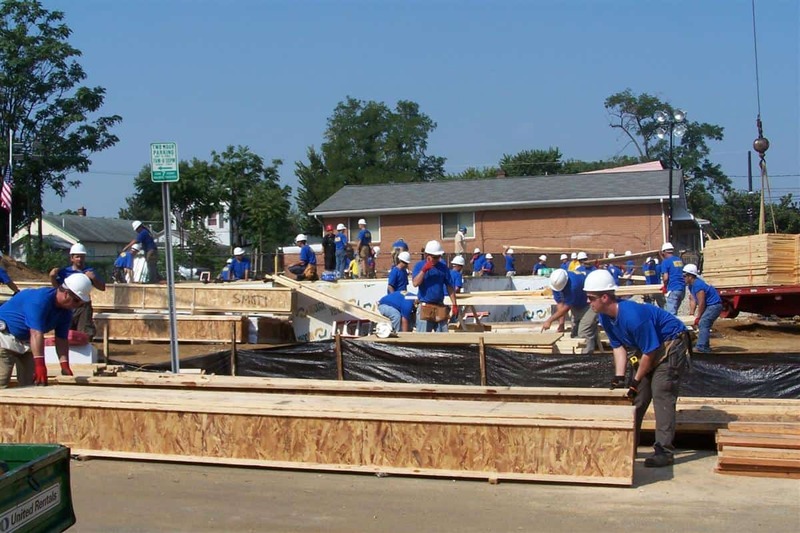 Our projects have spanned Lynchburg, Richmond, Roanoke, and Charlottesville. 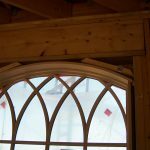 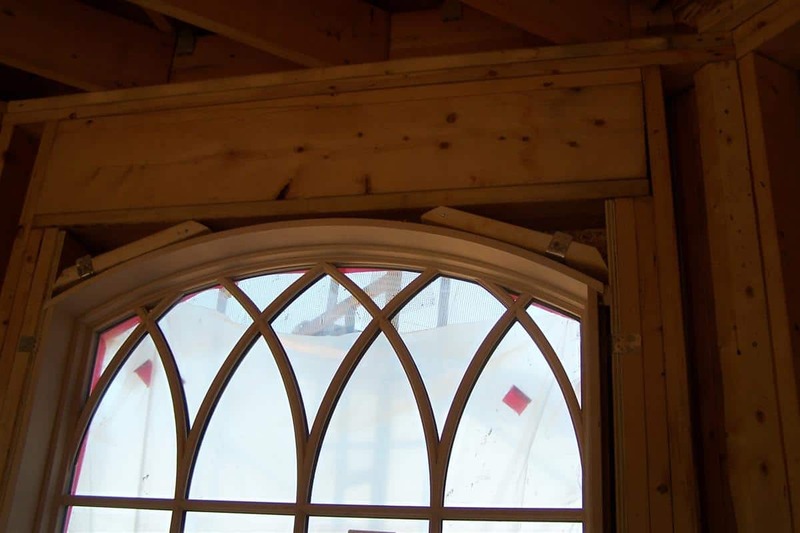 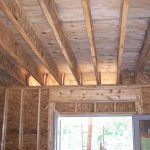 Today's building contractors and modern construction techniques allow homes to be built to code efficiently, quickly, and cost effectively. 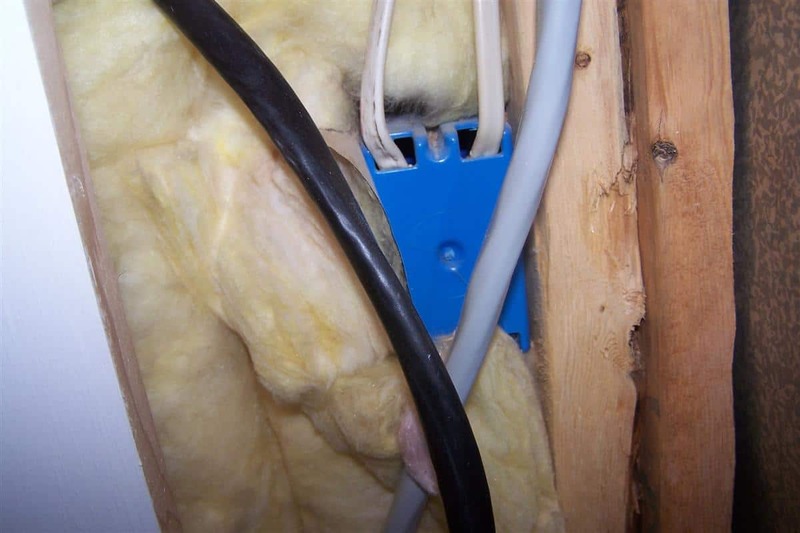 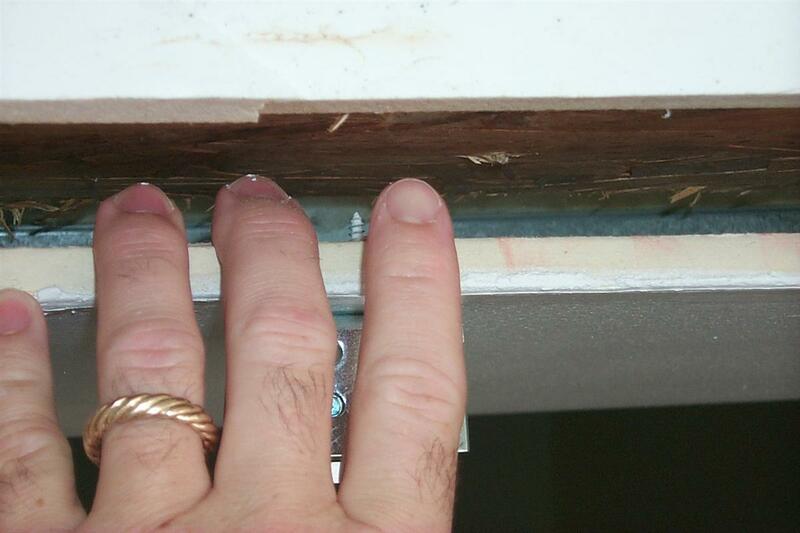 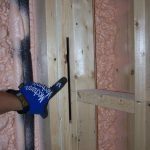 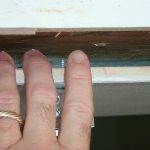 Even when a home meets code little concern has been paid to how well the home envelope is actually insulated. 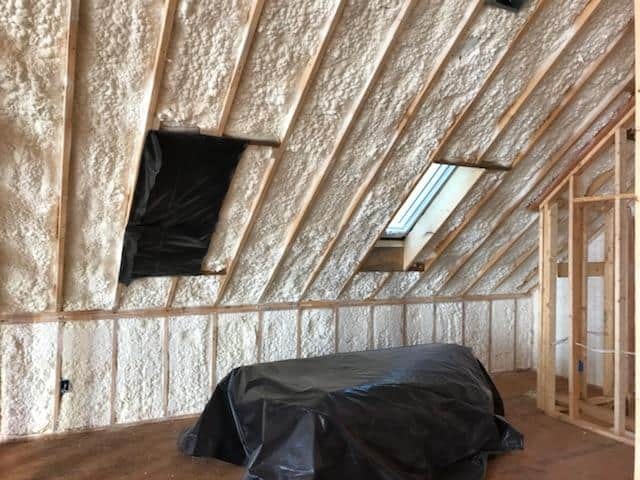 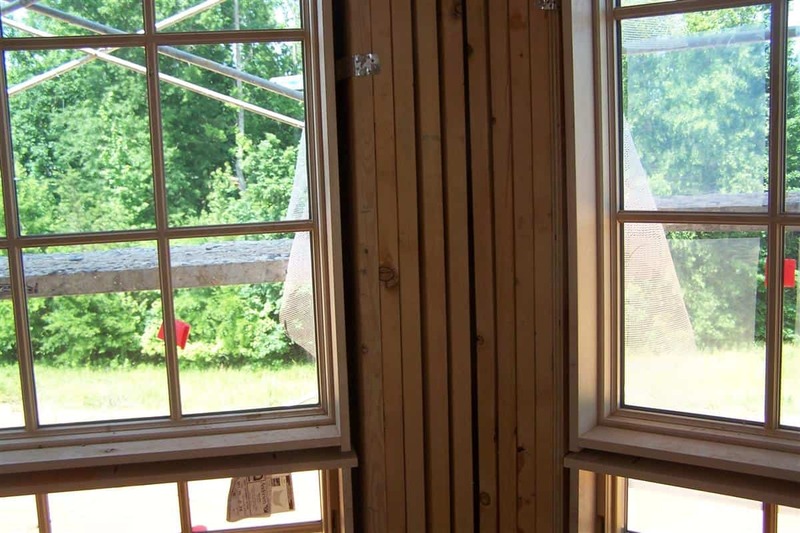 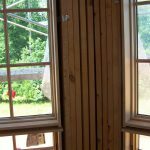 Buyers see and hear that they are getting the latest in batt insulation in the walls, cellulose in the attic and double pained low E Argon filled windows and they think that everything will be just fine. 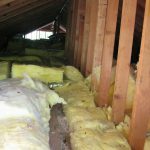 Unfortunately, we hear every day from consumers that their new house feels drafty or that they just can't seem to get warm. 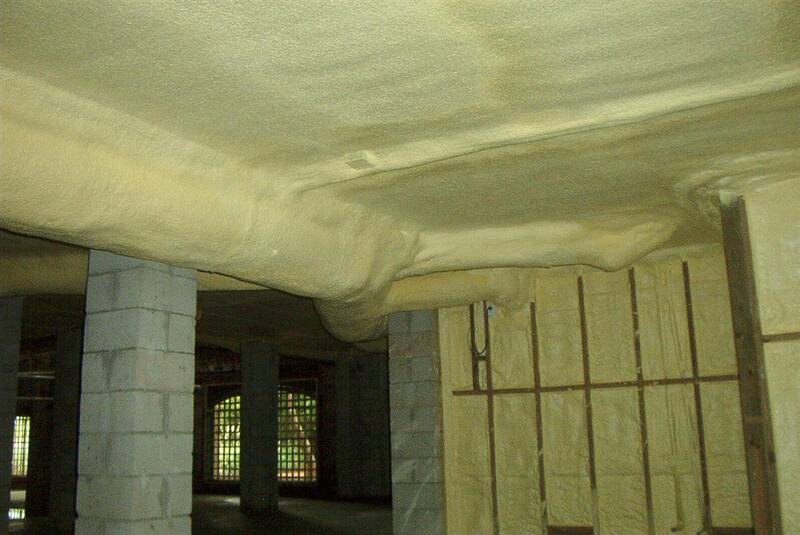 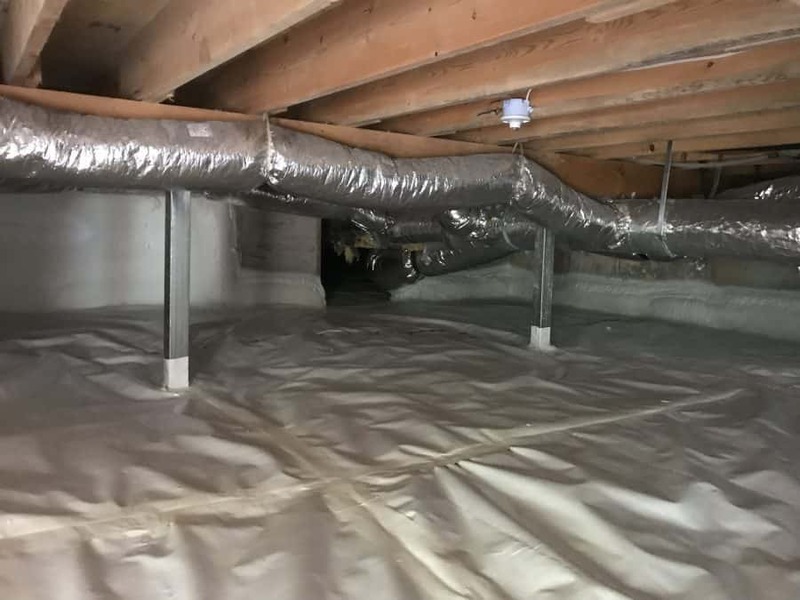 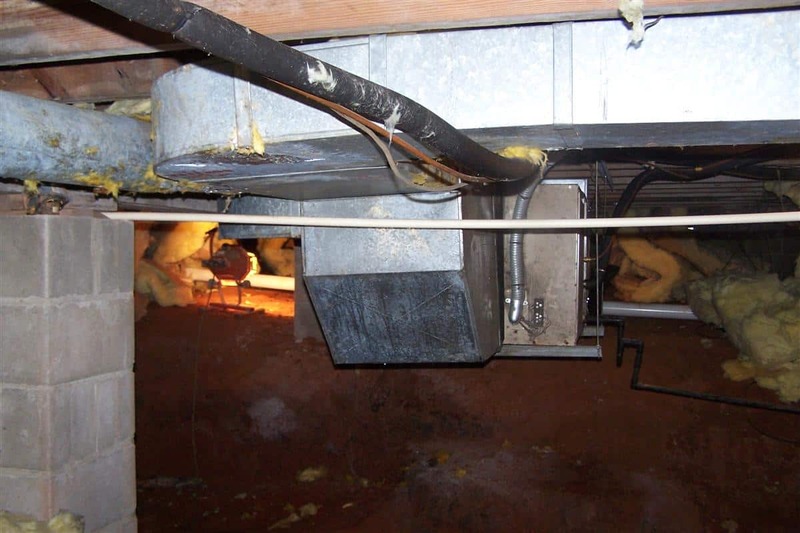 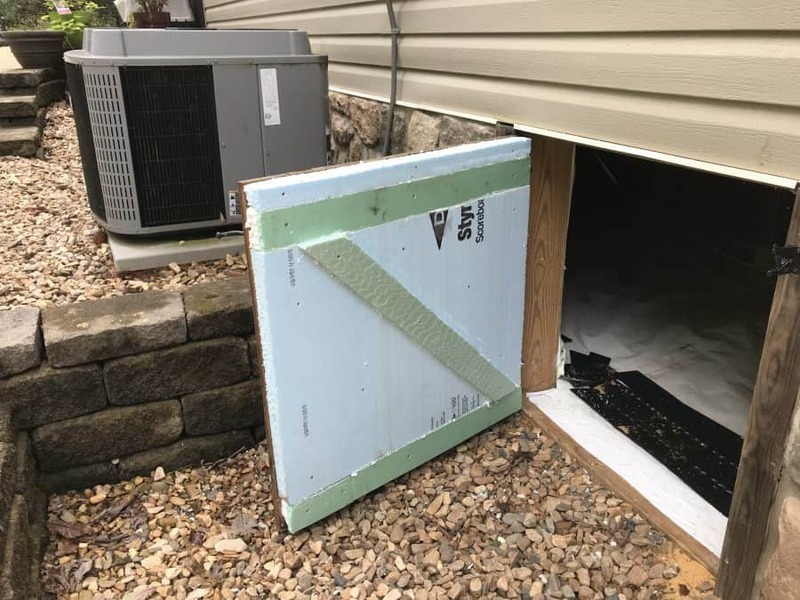 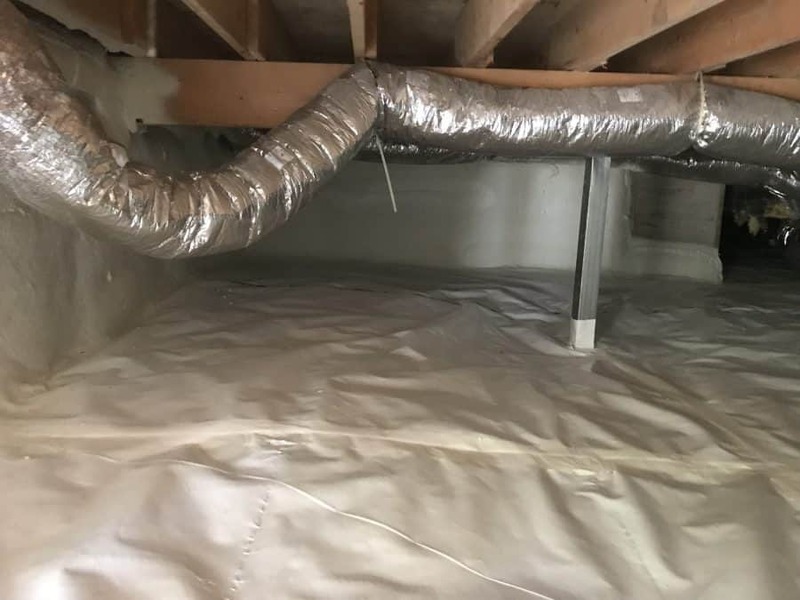 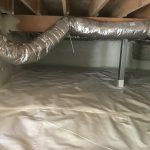 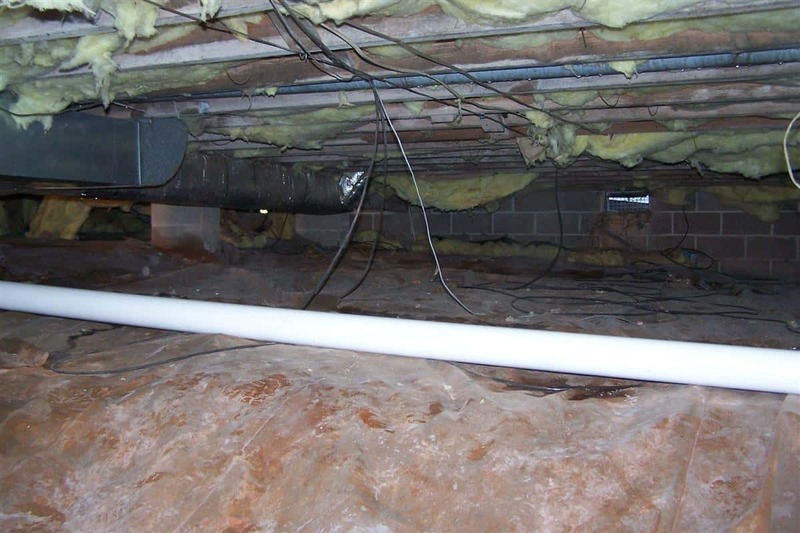 Insulating a crawl space with Closed-Cell Polyurethane Spray Foam can dramatically improve a home owner's health and comfort level. 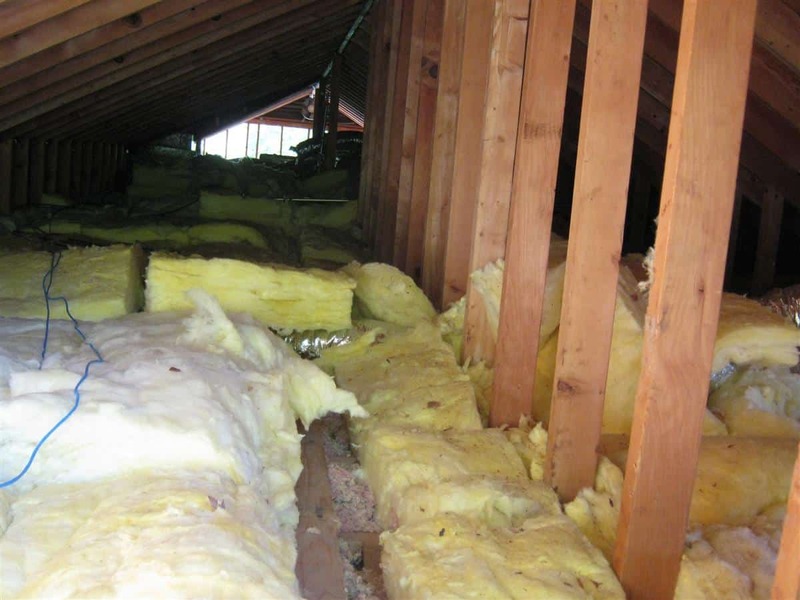 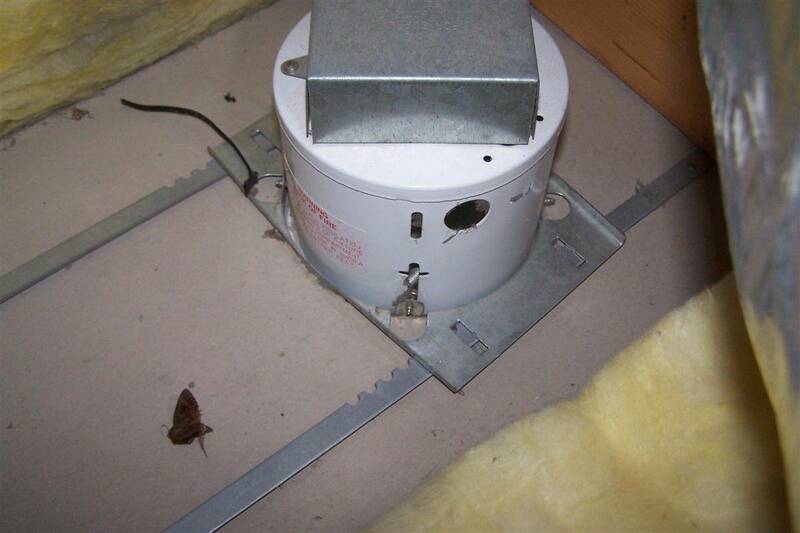 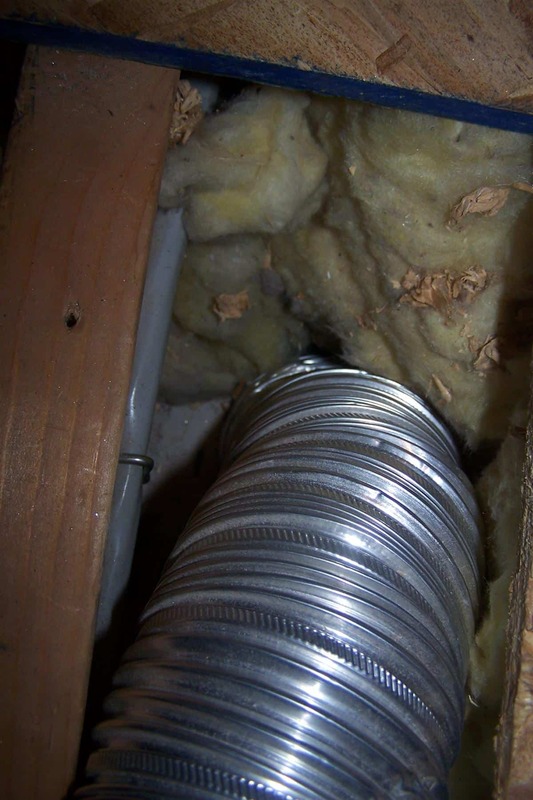 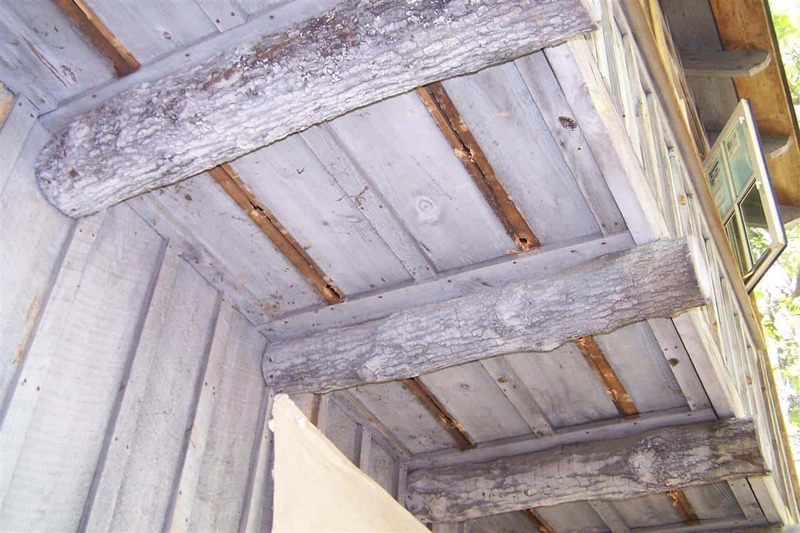 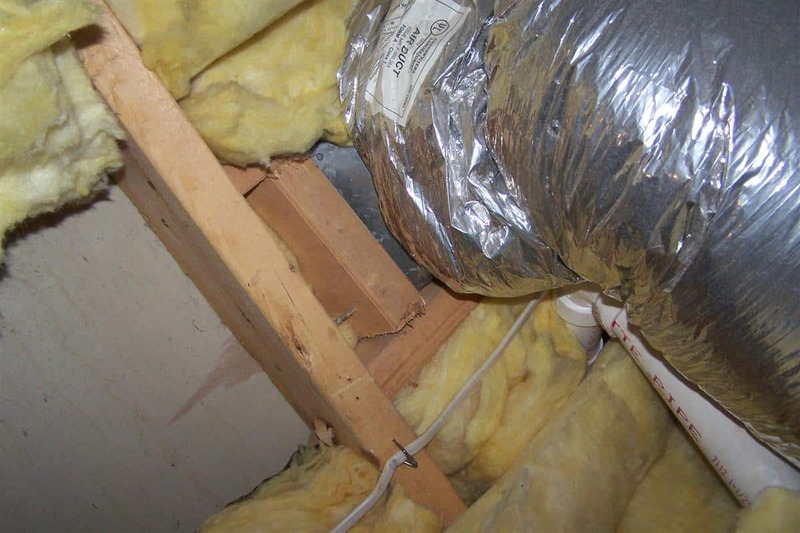 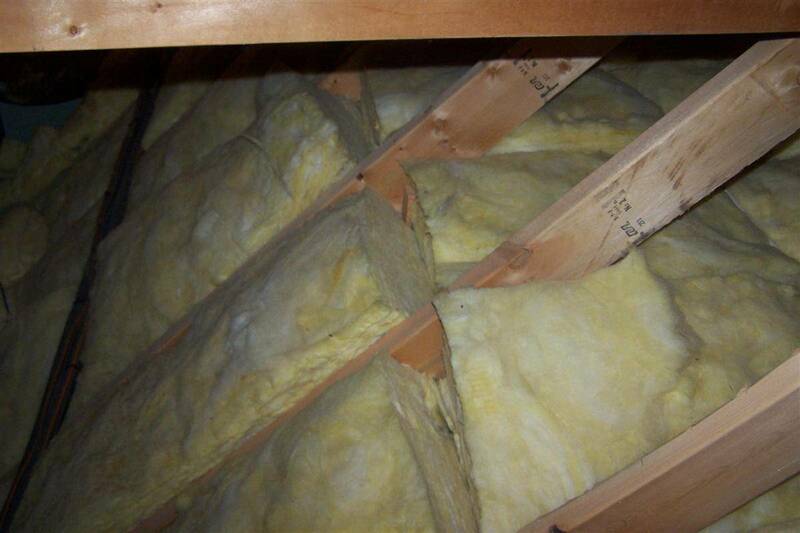 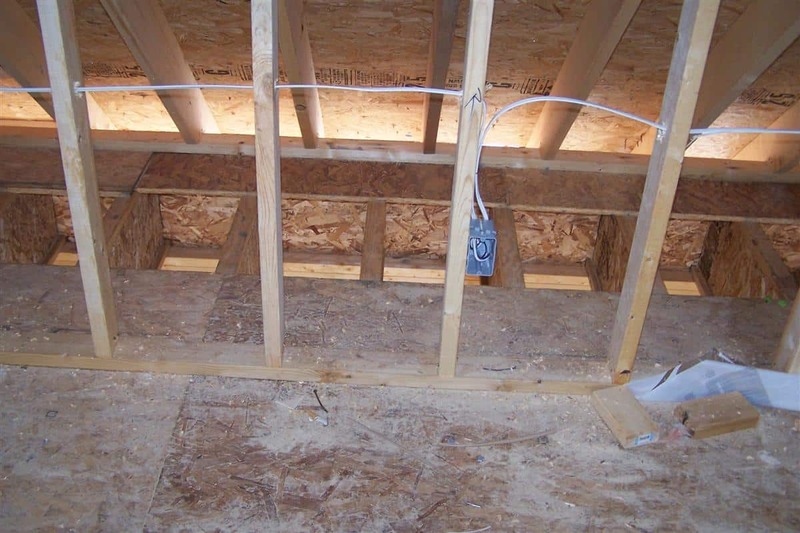 Your attic represents one of the greatest losses of energy in your home. 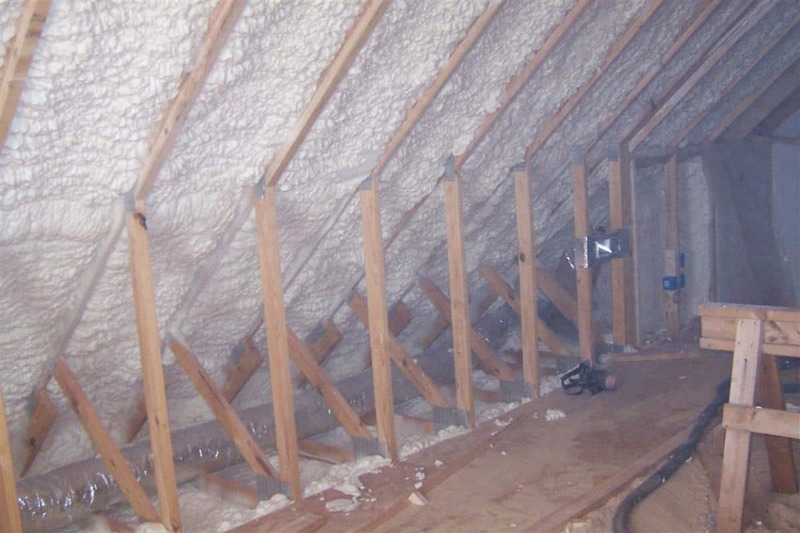 In the summer it can be up to 150 degrees in a traditional attic making your upstairs hot. 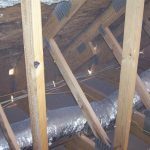 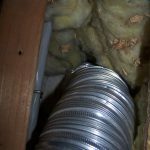 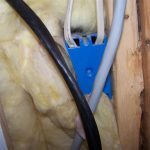 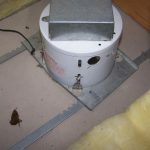 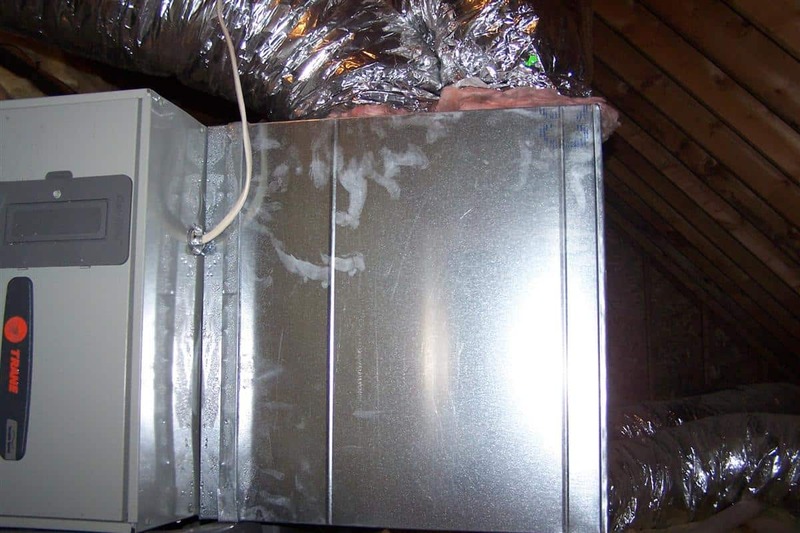 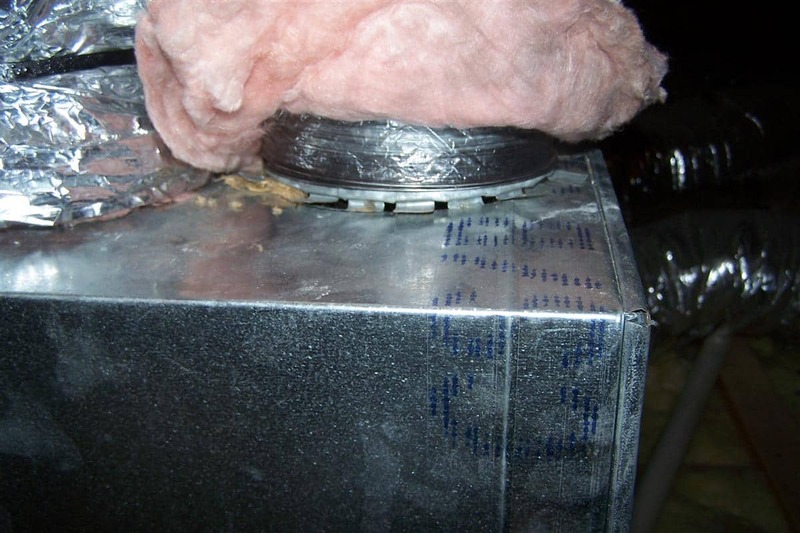 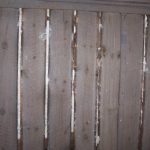 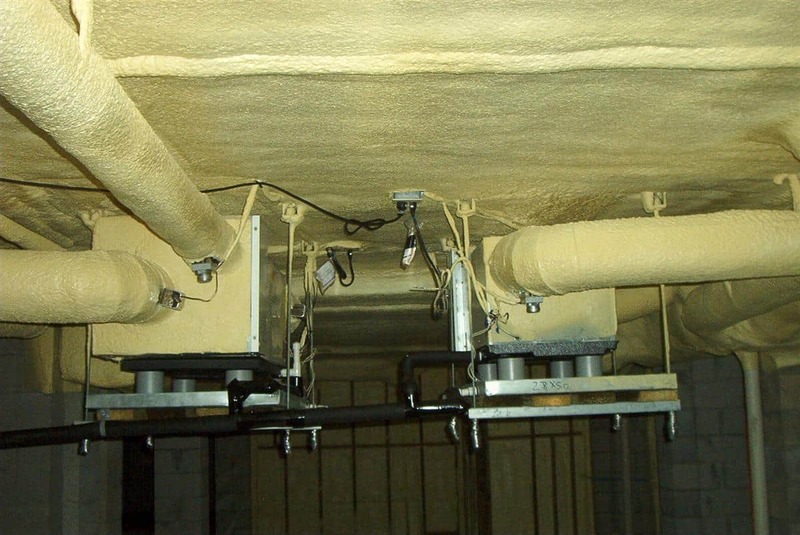 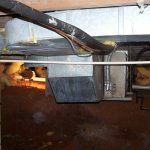 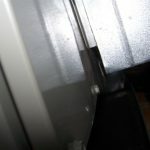 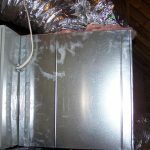 In the winter time your' can lights, fans, and other outlets bleed heat into your attic from the house making your furnace work longer and harder. 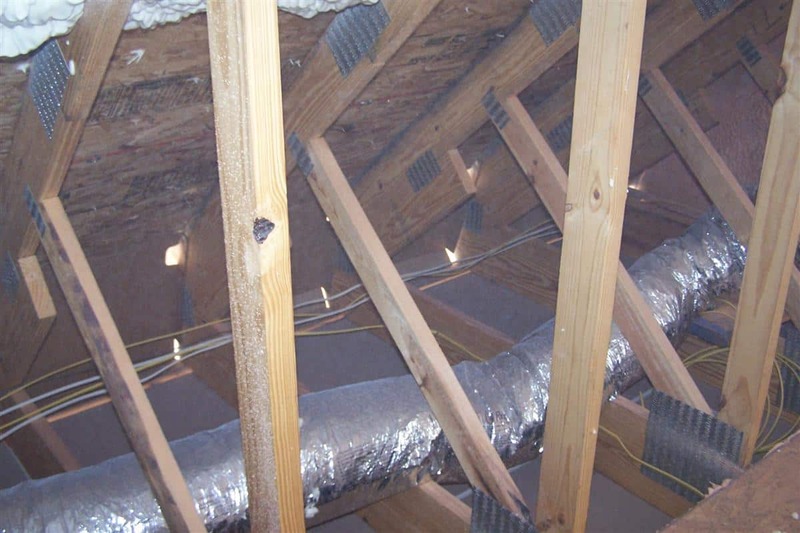 The hot roof system can solve all of these problems. 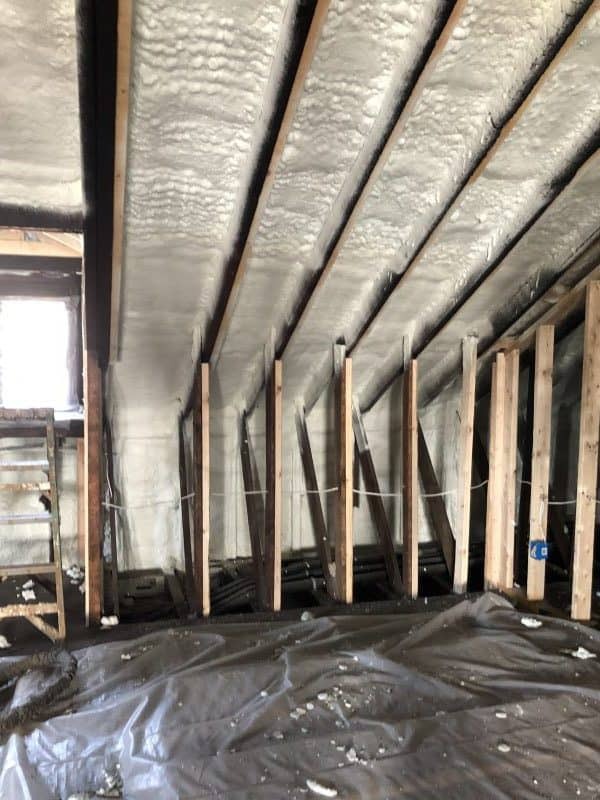 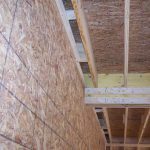 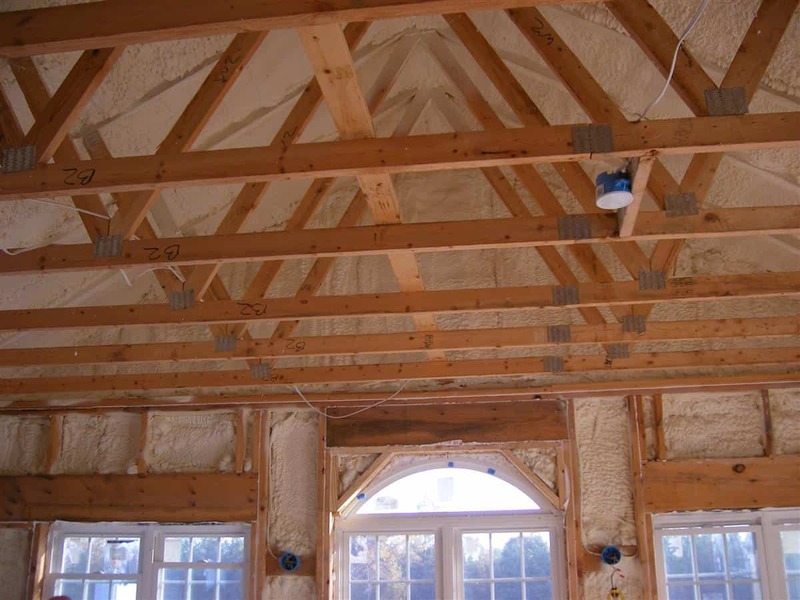 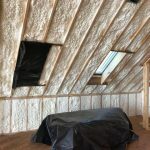 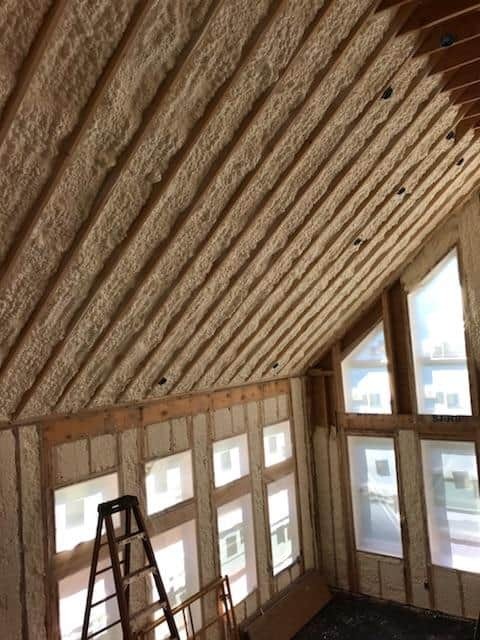 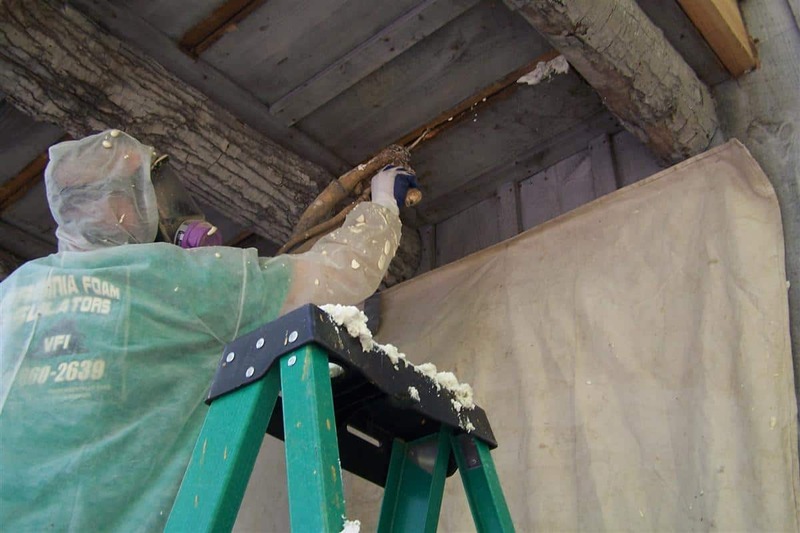 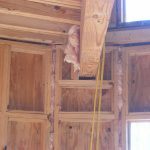 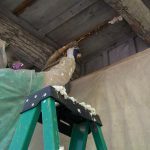 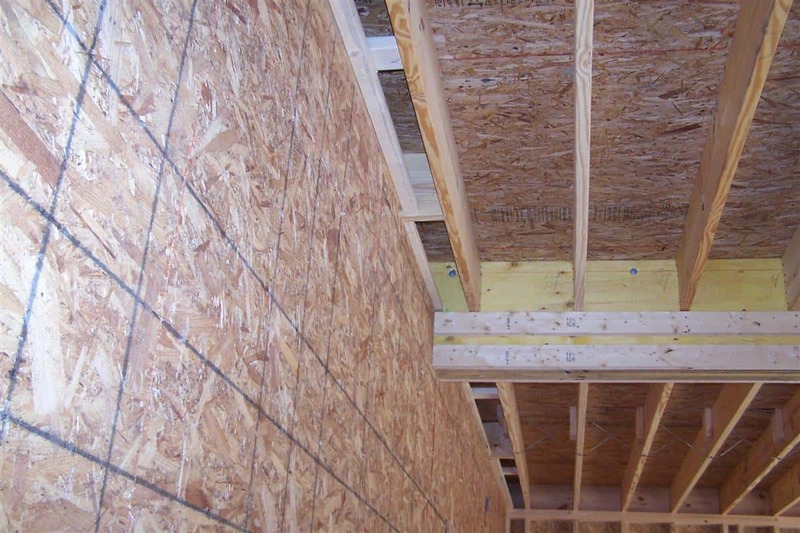 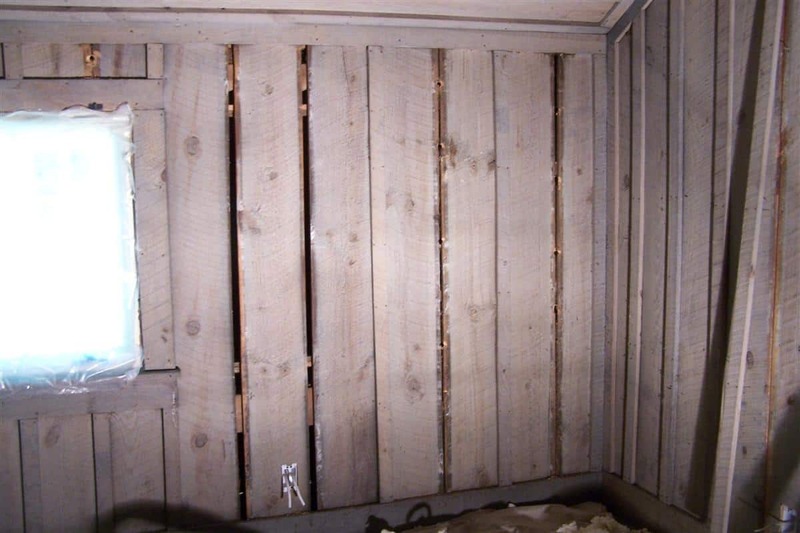 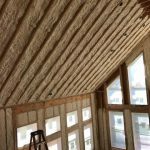 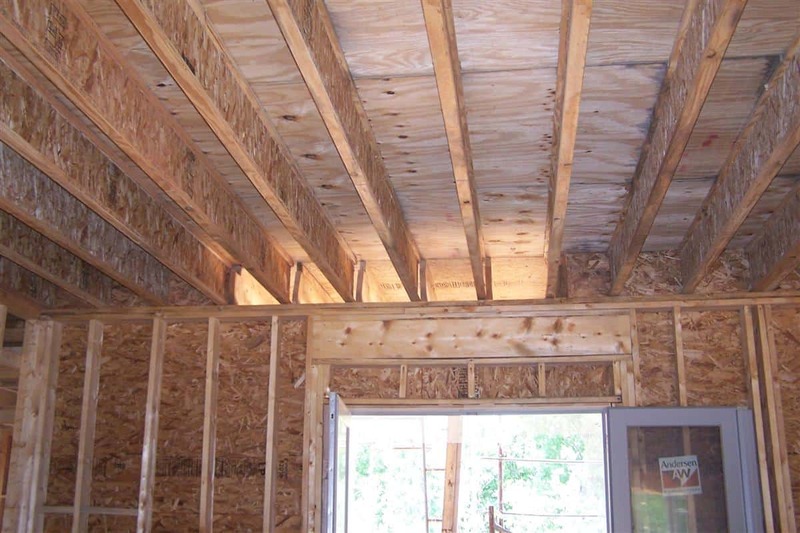 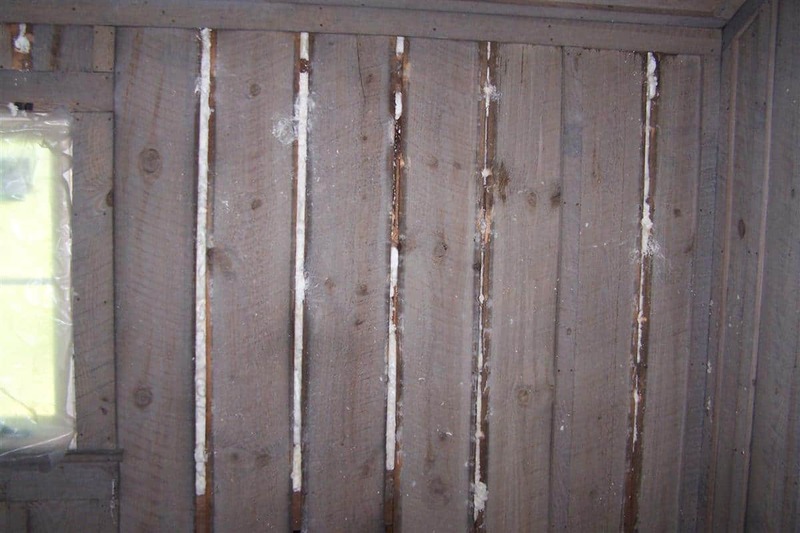 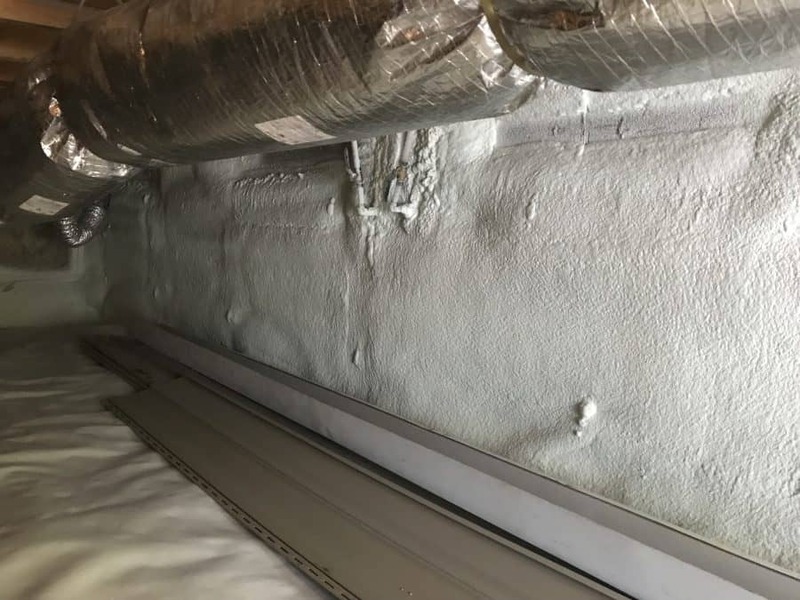 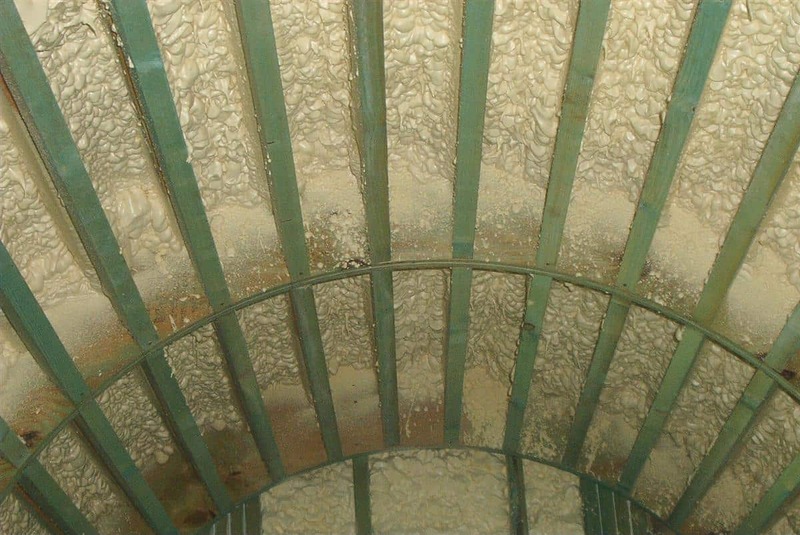 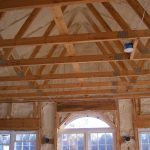 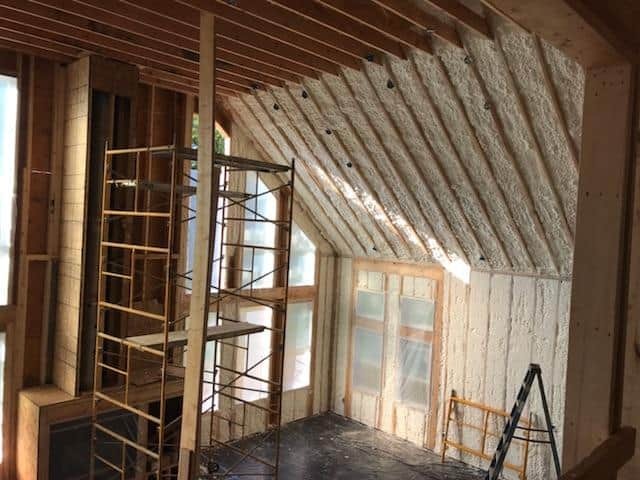 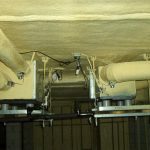 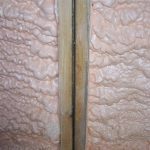 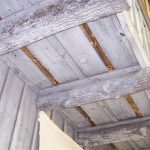 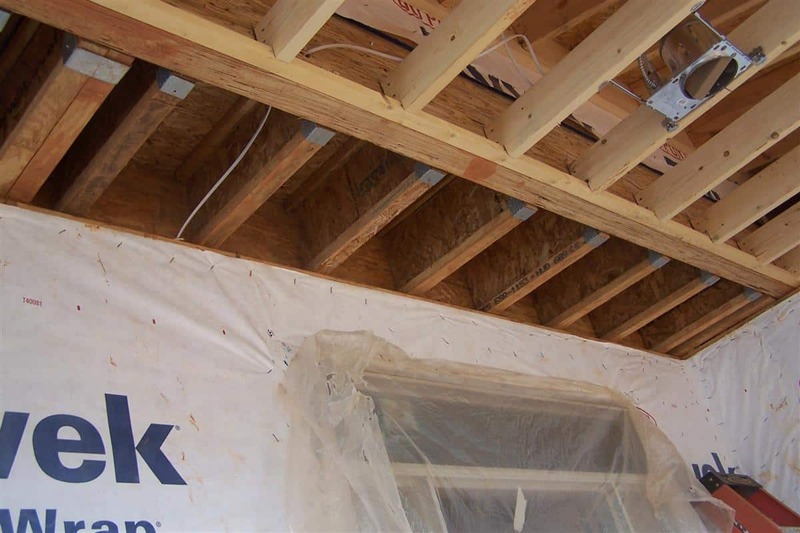 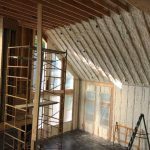 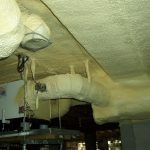 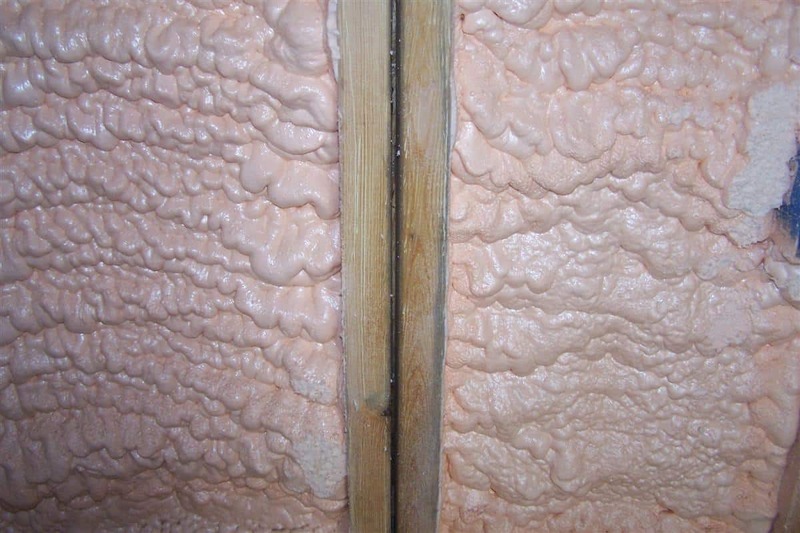 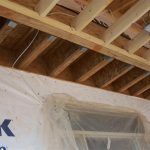 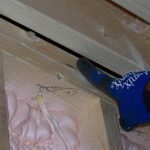 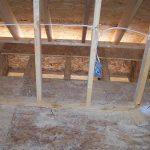 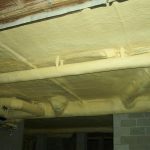 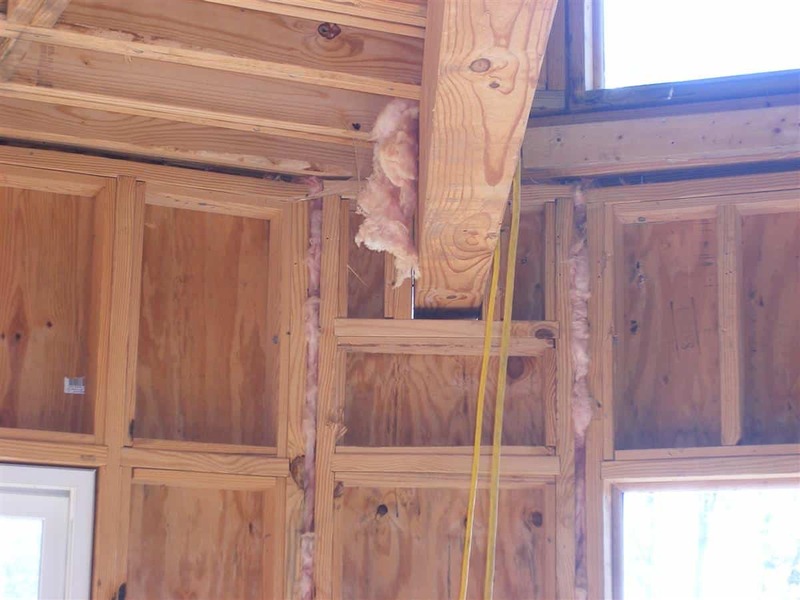 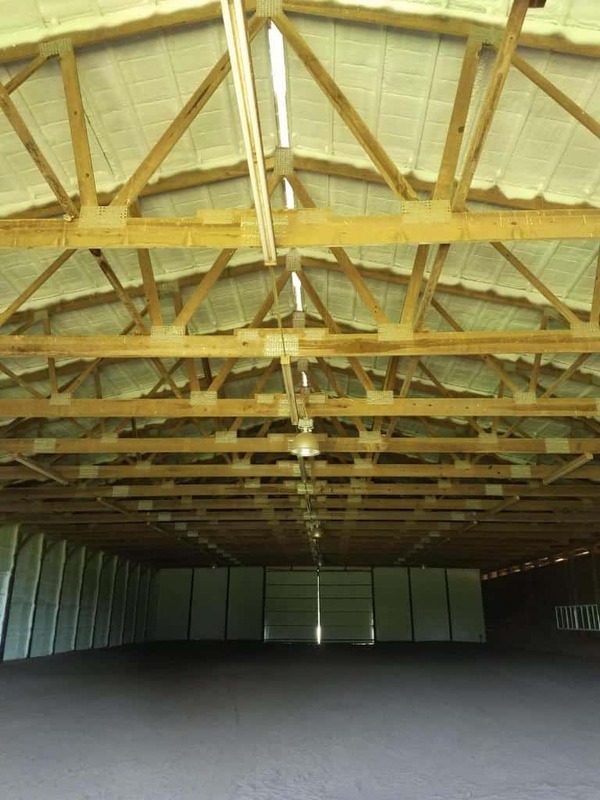 Whether a new construction project or a retrofit job, these problems can be solved by insulating your attic with Open or Closed Cell Polyurethane Spray Foam. 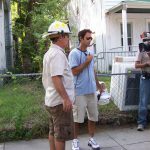 Over the years, we've had the opportunity to work on a few interesting and unique projects! 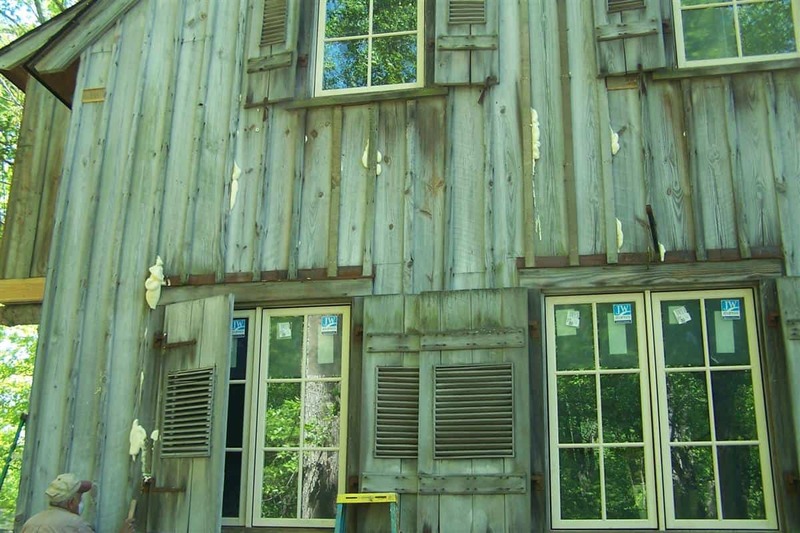 The following pictures are of a late 1800s cabin that was used strictly as a summer vacation home. 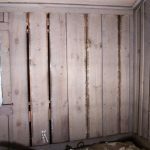 Since the cabin was never occupied in the winter, none of the walls or attic had any insulation. 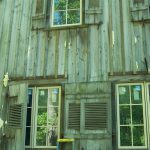 Recently the cabin was bought by a family who wanted to turn it into a permanent home. 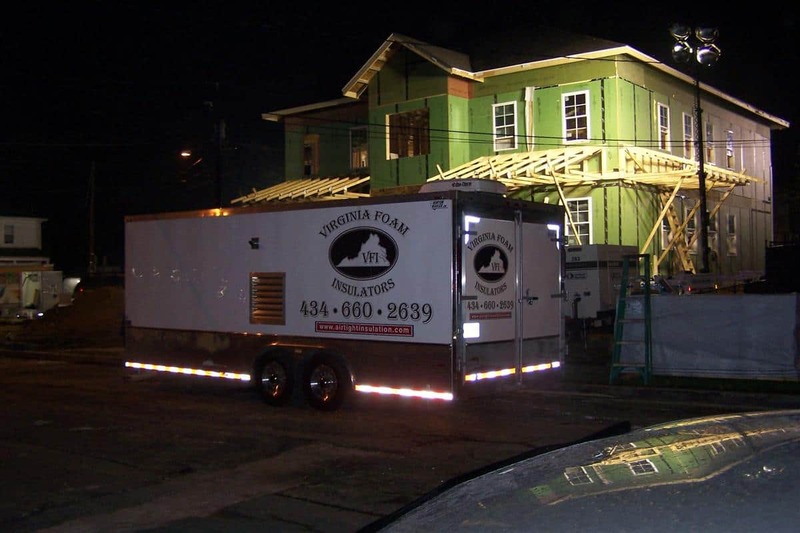 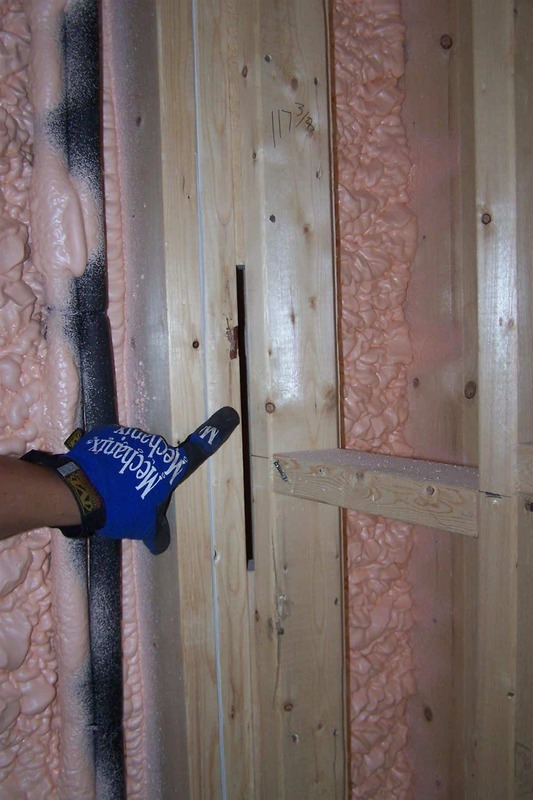 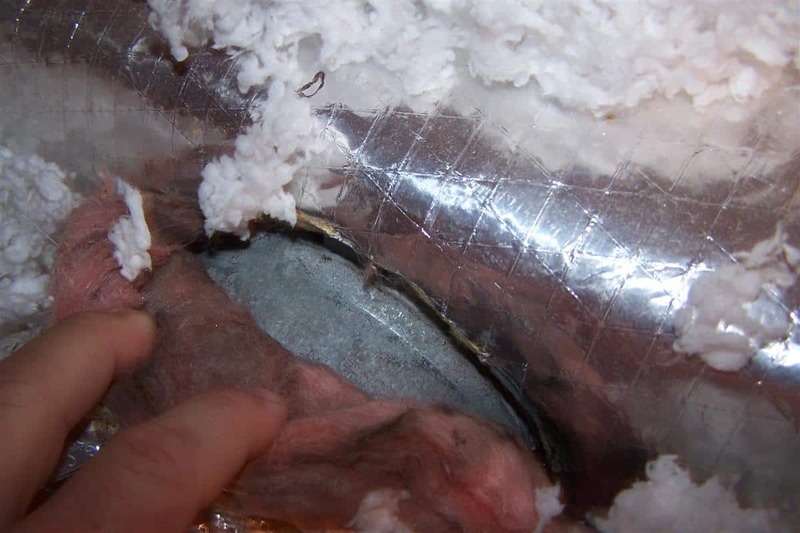 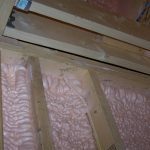 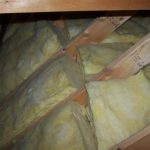 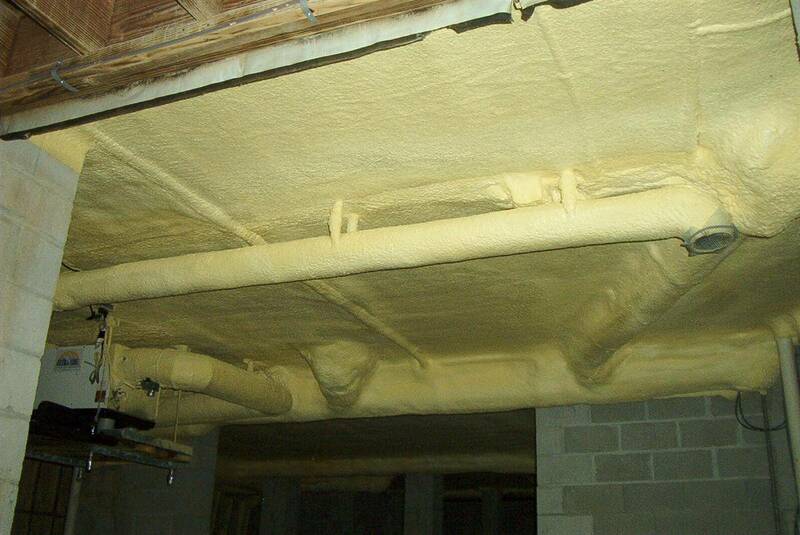 Virginia Foam Insulators was called in to insulate the home using our open-cell polyurethane foam. 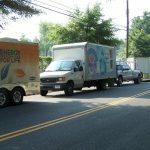 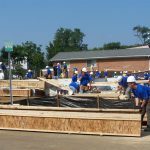 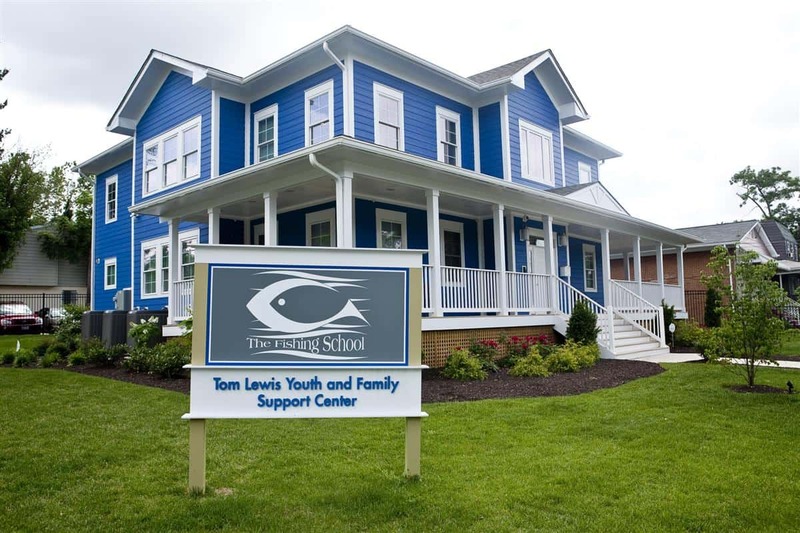 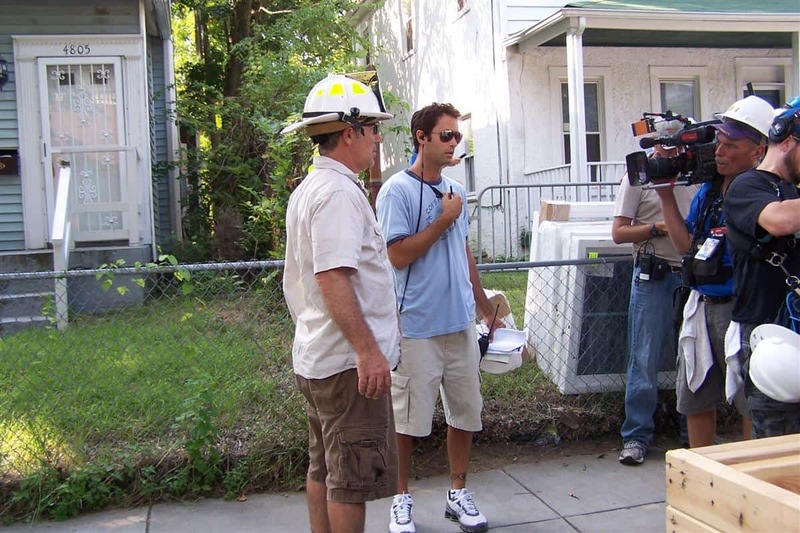 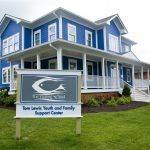 On Sunday, August 23, 2009 the design team from ABC's "Extreme Makeover: Home Edition" demolished The Fishing School in order to build a bigger and better school for the youth of Washington, D.C. 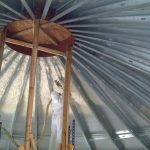 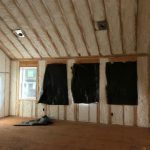 The design team and Burch Builders called on Lapolla to offer an energy-efficient insulation system for the new school. 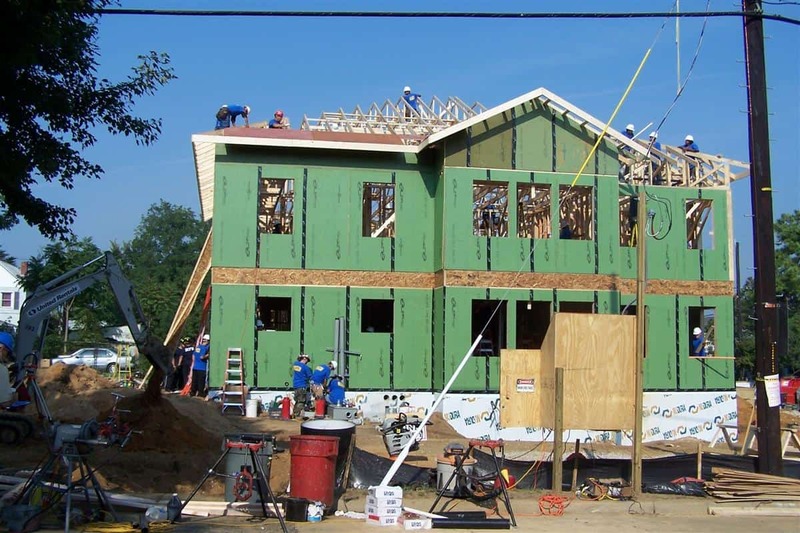 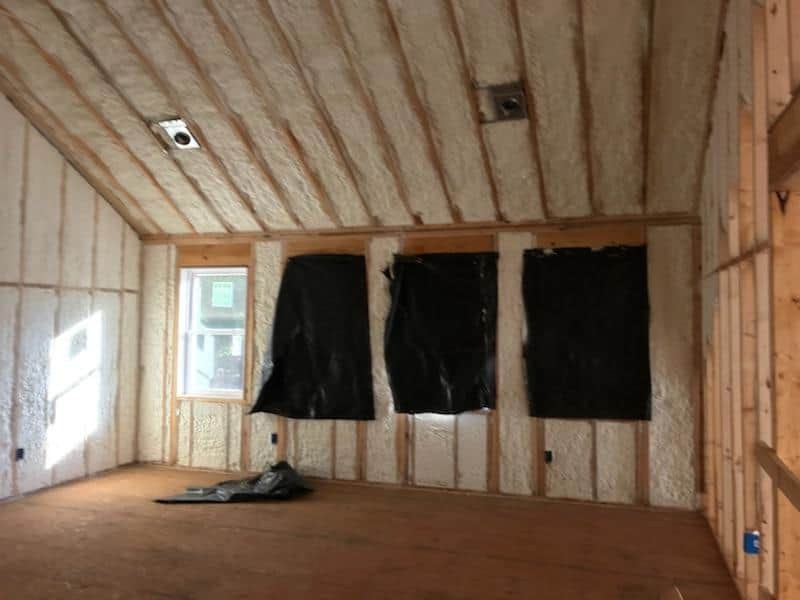 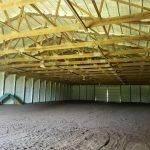 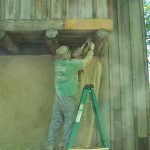 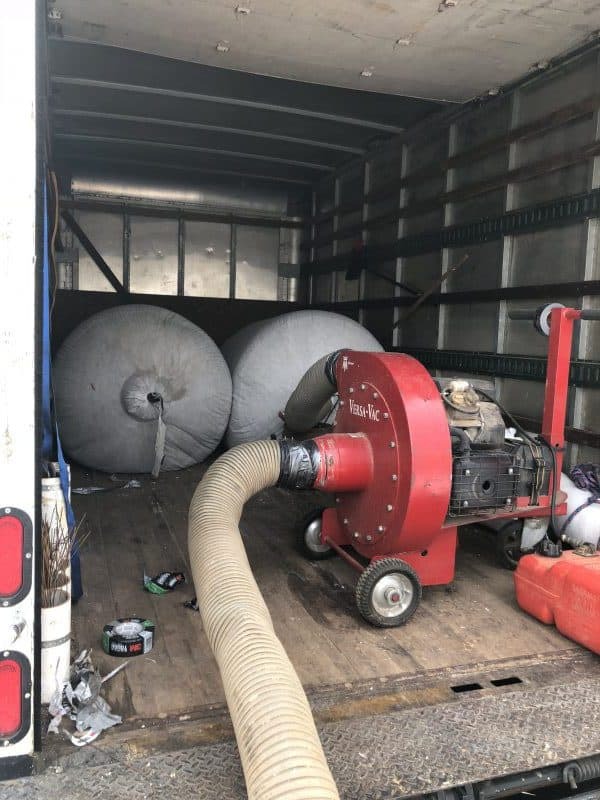 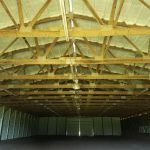 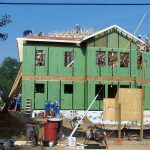 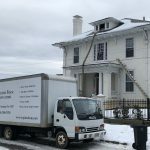 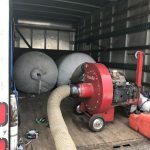 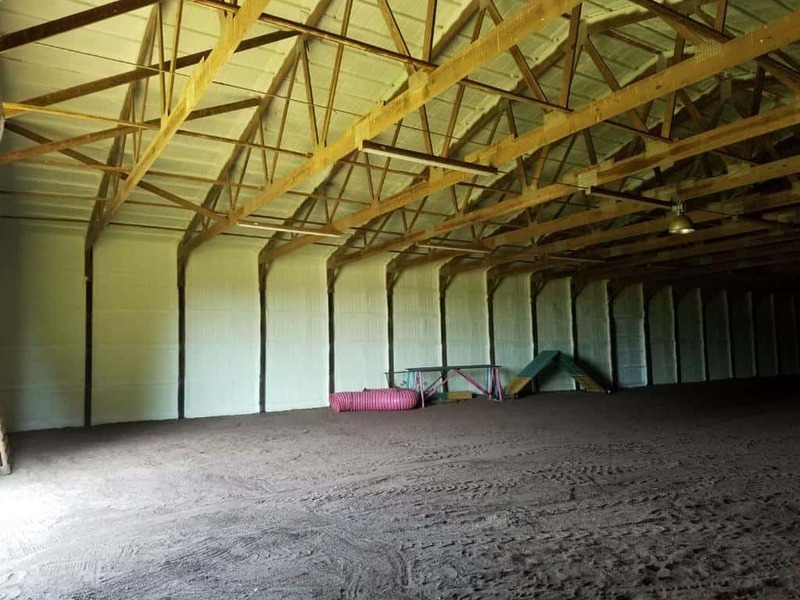 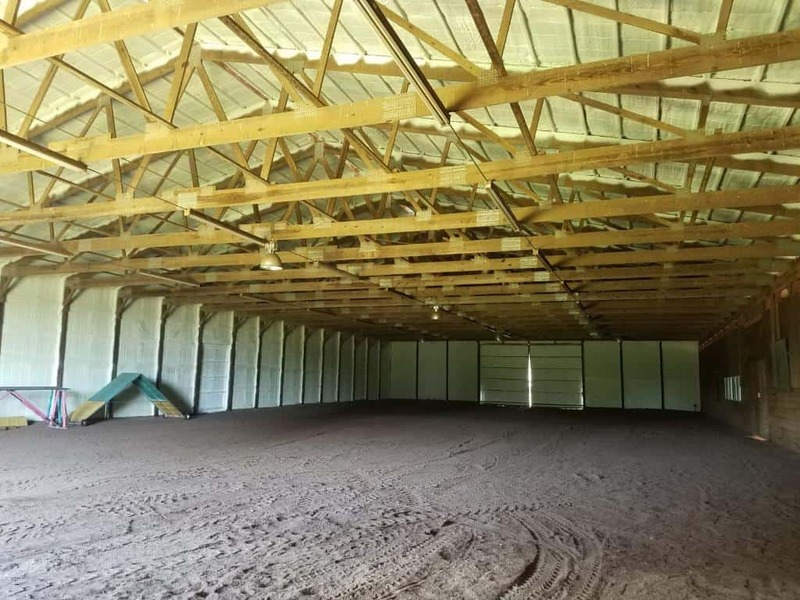 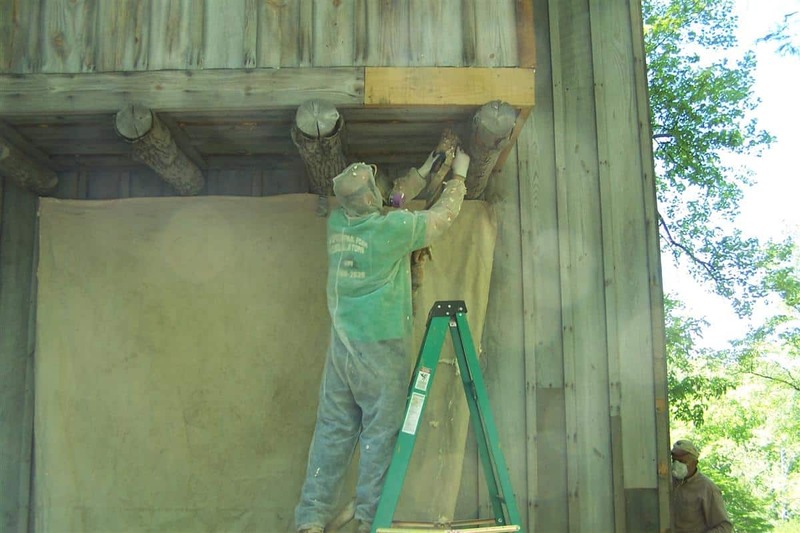 Lapolla donated the spray foam insulation material and local AirTight contractors; Select Builders, Virginia Foam Insulators, and AirTight of Western PA donated the labor. 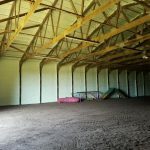 This was a Mortan metal building used for dog training and shows. 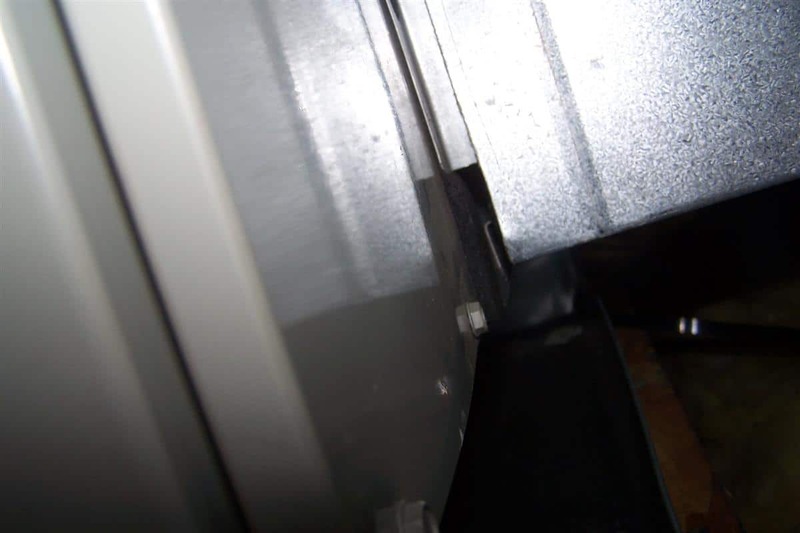 Customer always had complaints that it's was bitterly cold in the winter months and hot in the warmer months. 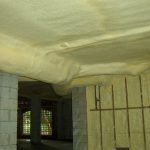 Virginia Foam insulated with closed cell foam to help reduce the baking oven effect and to help hold a little heat in the winter. 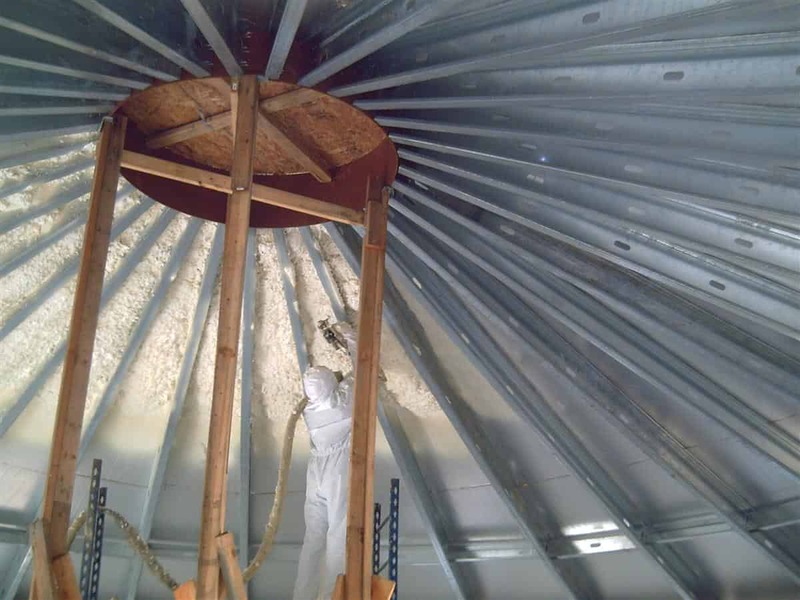 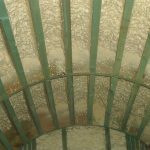 Closed cell foam was chosen for its strength , rigidity and its ability to not to absorb moisture when they water the ring. 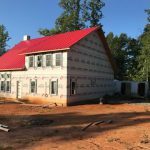 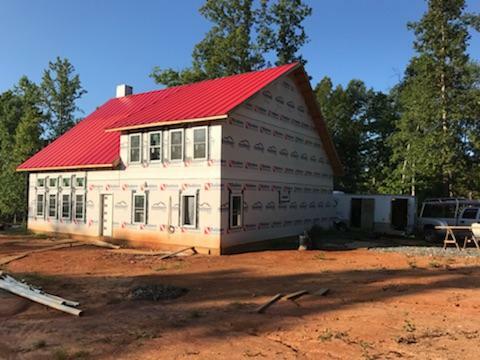 Wrapping up another custom home in Pleasant View, Amherst county. 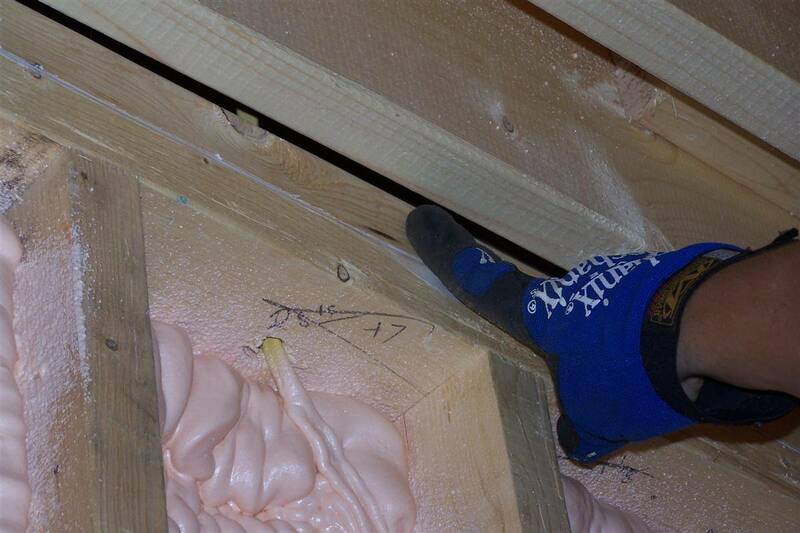 Here we 7”open cell foam to the roof deck and a cavity fill to the 2x6 exterior walls. 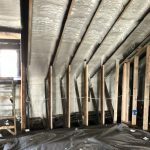 Benefits of foaming the the rafters is not only the efficiency but once this house is completed there will never be access to the roof system without sheet rock removal. 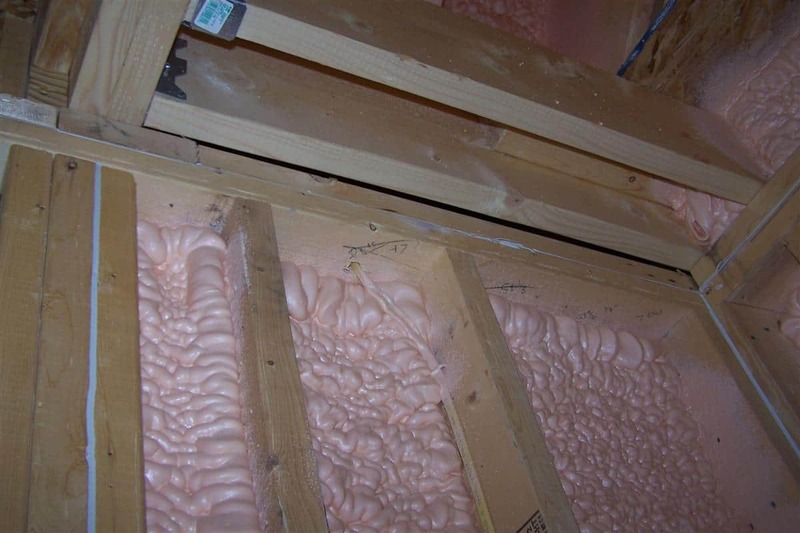 This foam will provide long lasting comfort and savings for years to come.